A warm and tender picture book for families everywhere, from Australian Children's Laureate and author of Kissed by the Moon and Imagine. Alison Lester is one of Australia's most popular author-illustrators. She has written and illustrated many picture books for children, including the multi-award-winning, bestselling ARE WE THERE YET?. 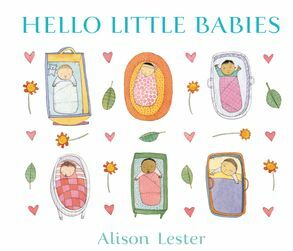 Alison was recently named Australia's first joint Children's Laureate for 2012-13.